Benedict Cumberbatch narrates Naples '44, a documentary adapted from British Intelligence Officer Norman Lewis’s towering memoir. 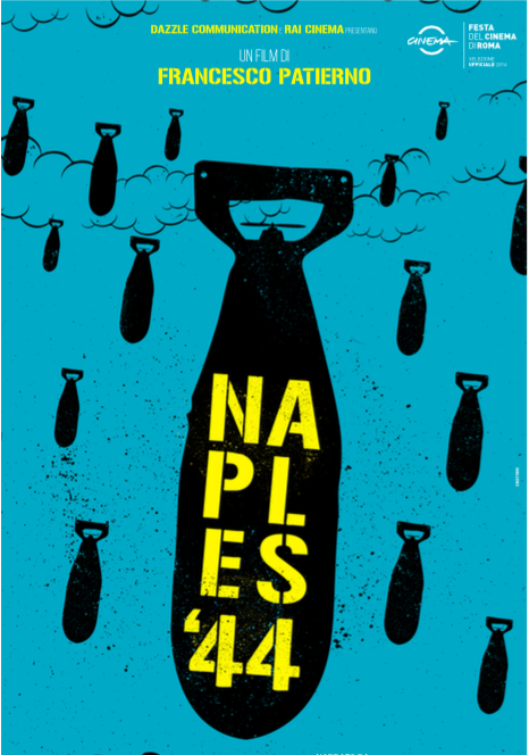 In 1943, young Lewis entered war-torn Naples with the American Fifth Army. He began writing in his notepad everything that happened to him during his one-year stay, observing the complex social cauldron of a city that everyday contrived the most incredible ways of fighting to survive. These notes turned into the masterpiece Naples '44. Patierno’s film adaptation imagines Lewis returning many years later to the city that charmed and seduced him. A visionary reminiscence made up of archive footage from the War (some of which has never been seen before), films on liberated Naples, and the places of the present that Lewis revisits. In the eighty-minute run-time, we see a thrilling and unpredictable parade of unforgettable stories and characters: women in feather hats milking cows in the rubble, statues of saints carried by crowds attempting to stop Vesuvius erupting and impoverished professionals surviving by impersonating aristocratic uncles from Rome at funerals and weddings. This is a fascinating portrait of a war-torn city and its unforgettable humanity.